While visiting the Brú na Bóinne about an hour north of Dublin, Greg and I had the opportunity to view Jane Brideson’s Ever Living Ones collection. This collection brings together Ireland’s sacred landscapes and ancient myths in moving contemporary artwork. 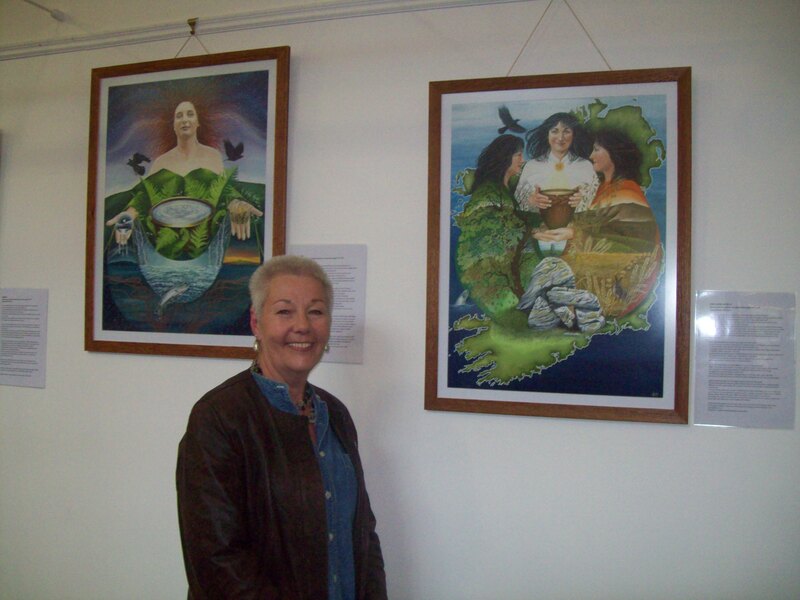 Her art is currently displayed at the Brú na Bóinne Visitor Center in County Meath. Jane’s blog has more details on the exhibit location. If you are in County Meath or in Dublin and have time for a day trip, Jane’s art and the neolithic mounds at Brú na Bóinne are definitely worth the drive/bus ride to go see.